The Kennedys were considered, at one point, to be America’s Royal Family – a powerful dynasty that was also beloved and admired by the public. However, the mind-boggling “Kennedy Curse” struck the family to the core as numerous members lost their lives at a young age and in strange circumstances. This series of articles will expose lesser known facts regarding the Kennedys and explain how the family’s fate is related to the shadow government running America. The assassination of John F. Kennedy on November 22, 1963 will always remain one of the most tragic days in American history. It can be pinpointed as the day where the American public “lost its innocence” and got a glimpse of the dark and morbid shadow government working behind the scenes. In 2000, over 81% of Americans believed that JFK’s assassination was planned by more than just a lone gunman, making it one of the most widely accepted conspiracy theories in US history. However, as the years go by, countless theories and hypothesis about JFK’s assassination keep appearing in the form of “tell-all books” or “shocking documentaries”, contradicting previous theories and muddying the waters of truth instead of clarifying them. One can wonder if some of these “revelations” are actually attempts at disinformation in order to keep the truth from ever emerging. But to understand the Kennedys and what lead them to power, one must go deeper than JFK’s presidency and his assassination. We must look at those who preceded him, especially his father, Joseph Patrick Kennedy Sr., who gained an incredible amount of wealth and became close with the most powerful families in the world. While these connections ultimately sent the family to the White House, the Kennedys did not remain in power for long. The same “hidden hand” that lead them to the top apparently sought to completely eradicate them. Was the curse actually a series of hits aiming at removing the Kennedys from power? Studying the story of the Kennedys is essentially studying at the inner-workings of the occult elite. We’ll first look at the origins of the Kennedy dynasty. During his political career, Kennedy became a close advisor to President Franklin D. Roosevelt and was appointed as the inaugural chairman of the U.S. Securities and Exchange Commission (SEC). In 1938, he was named Ambassador of the U.S. in the United Kingdom, a prestigious position, where he formed ties with British nobility and witnessed the early stages of World War II. Born into a prominent political family of East Boston, Joseph Kennedy married Rose Elizabeth Fitzgerald in 1914 , the eldest daughter of Boston Mayor John Francis Fitzgerald. In a move that is often seen in elite bloodlines, the marriage joined together the city’s two most prominent political families. However, as Kennedy’s wealth and power grew, his influence reached way beyond the city of Boston and he formed ties with the power elite of the world. Understanding Joe Kennedy’s ties and relations equals understanding the occult elite and the way it functions. He dealt with people that were part of “Illuminati bloodlines” (as defined by Fritz Springmeier) such as the Rothschilds, the Astors, and the Sassoons. He was close to newspaper mogul and high level Illuminatus William Randolph Hearst, who later helped launch JFK’s career. During Kennedy Sr.’s political career, he advised FDR, who was a 33rd degree Freemason and the first Honorary Grand Master of the Order of DeMolay. FDR, who was also advised by notable occultists Manly P. Hall and Nicholas Roerich, ordered the placement of the Seal of the United States (the Illuminati symbol of the pyramid with all-seeing eye) on the dollar bill. Joe Kennedy Sr. was also part of several elite orders, such as the Knights of Malta and the Pilgrim Society, a highly secretive group that held within its ranks members including the Rockefellers, the Vanderbilts, J.P. Morgan, British Royals, various heads of the Skull and Bones society, Freemasons, Knights Templar and Presidents of the Federal Reserve Bank, and executives from major companies and mass media. In fact, the Pilgrim Society is probably the most influential “elite group” in existence (see a list of members here). “If Kathleen and her husband were living, I’d be the father of the Duchess of Devonshire (first Lady-in-Waiting to the Queen) and the father-in-law of the head of all the Masons in the World”. 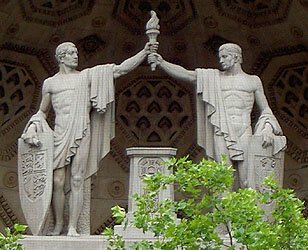 Joseph Kennedy was therefore extremely well connected with the occult elite and the Illuminati bloodlines of the United States and Great Britain. While he had held hopes of becoming a Presidential candidate, his window of opportunity closed when, facing the threat of Nazi invasion, he stated that “Democracy in Great Britain is finished”, adding that the “battle for Britain is not about democracy, that is all bunk”. Behind closed doors, Kennedy was also caught sympathizing with Hitler and the Nazi movement. He was also quoted professing various anti-Semitic statements in discussions with the Astors. Realizing that the outcry he caused would prohibit him from ever becoming President, Kennedy Sr. went behind the scenes and focused on “placing” his sons in positions of power. He had the wealth and, more importantly, the elite connection needed lead his plans to fruition. While most family pictures of the Kennedys give the impression of one big, happy, all-American family, the truth is much less picture-perfect. The great number of biographies documenting the nine Kennedy children often account of “loveless” childhoods, great distance between family members and countless, devastating tragedies. 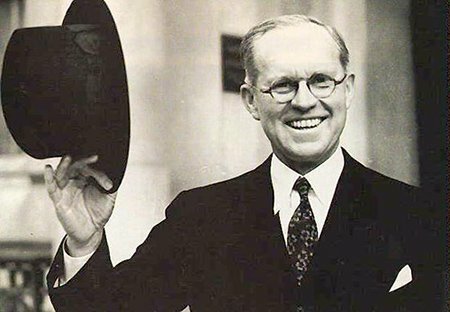 Joseph Kennedy Sr. was often described as a strict father with gigantic expectations for his children. 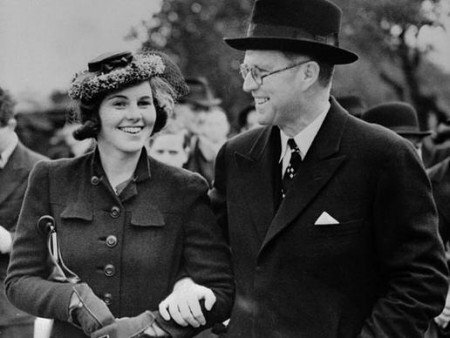 Unfortunately, his daughter Rosemary Kennedy did not live up to these expectations. Rose Marie “Rosemary” Kennedy, the third child of the family, was described as “mentally retarded, erratic and prone to mood swings”. Joe Kennedy was told by his doctors that a prefrontal lobotomy could “cure” her condition, which could otherwise be potentially embarrassing for the family. At age 23, Rosemary was forced to undergo the experimental procedure. Here’s an account of the procedure performed on Rosemary. “We went through the top of the head, I think she was awake. She had a mild tranquilizer. I made a surgical incision in the brain through the skull. It was near the front. It was on both sides. We just made a small incision, no more than an inch.” The instrument Dr. Watts used looked like a butter knife. He swung it up and down to cut brain tissue. “We put an instrument inside,” he said. As Dr. Watts cut, Dr. Freeman put questions to Rosemary. For example, he asked her to recite the Lord’s Prayer or sing “God Bless America” or count backwards….. “We made an estimate on how far to cut based on how she responded.” ….. When she began to become incoherent, they stopped. The procedure went horribly wrong. It left Rosemary Kennedy with the mental capacity of a two year-old child. It prevented her from walking or speaking intelligibly and she was considered incontinent. She was placed in an institution where she was cared for until she died in 2005. 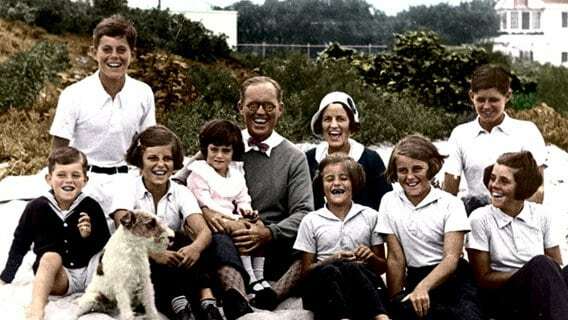 Joseph Kennedy never mentioned the lobotomy to the public and explained his daughter’s absence from family events as her being “reclusive”. He never visited Rosemary after the lobotomy and her name was “never mentioned” at the Kennedy house. Joe Kennedy Sr. knew he had the wealth, the influence and the connections to reach the White House, but after his “sympathetic” stand towards the Nazis killed his political career, he went behind the scenes and looked to orchestrate the political careers of his sons. Kennedy Sr. originally placed his presidential hopes on Joseph Patrick Kennedy Jr., the eldest son of the family. However, Kennedy Jr. died at the young age of 29 in an airplane explosion during World War II. His body was never recovered (four years later, his sister Kathleen – the wife of the Duke of Devonshire – would also lose her life in a plane crash at age 28). After the tragic death, Joseph Sr. did not give up on the White House. He focused on the political career of his second son, John Fitzgerald Kennedy, who the entire world would eventually know as JFK. Claiming that Joseph Kennedy Sr. was the mastermind behind JFK’s rise to the Presidency is far from an exaggeration. JFK also got the backing of elite bloodline families and the unconditional support of newspaper magnate William Randolph Hearst (and high level Illuminatus) who used his media empire to push JFK to power. JFK was groomed from an early age to take high office for the Brotherhood and he was supported by all the classic names like the Rothschilds, Tafts, Russells, Rockefellers, and media barons like Henry Luce, the head of Time-Life, and Randolph Hearst, the most powerful newspaper tycoon in the United States. When Kennedy ran for political office, the Boston American newspaper, owned by Hearst, refused to accept the paid advertisements of his opponent. In 1961, JFK was elected as President of the United States by a very slim margin. Youthful, charismatic and photogenic, Kennedy was the perfect face to put on a Presidency supported by the occult elite. However, soon after taking office, JFK quickly understood that his position was something of a “glorified puppet”. While his 23 months in the White House are often associated with the Vietnam war and the civil rights movement, JFK took actions that were less publicized but that could nevertheless shake to the core two extremely powerful institutions in the United States: The Federal Reserve and the Central Intelligence Agency. More on this in the next part of the series. 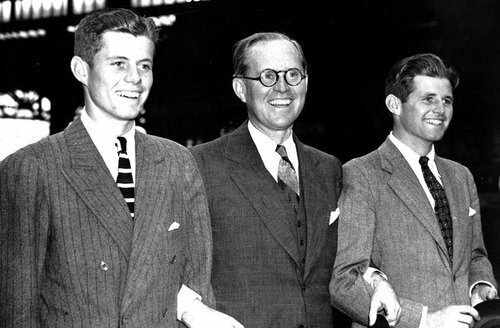 While JFK is usually the face associated with the Kennedys, it was his father, Joseph Kennedy Sr,. who engineered the rise of the dynasty. His ties with elite bloodlines, business moguls, politicians, secret societies and elite groups made him a typical “good ol’ boy” of the occult elite. After losing two children in plane accidents and seeing a third becoming disabled for life, Joseph then orchestrated JFK’s election as President of the United States. As we’ll see in the next article, JFK took stances that were unpopular amongst those who placed him in power. He was also a Catholic, a characteristic that made him and his family into eternal “outsiders” of the “Anglo-saxon” branch of the occult elite. One thing is certain: Powerful people placed JFK to power and, after a while, they wanted JFK, his family and his descendants removed from power. Forever. Continue reading The Hidden Life of the Kennedys: The Elite Dynasty That Got Decimated (Parts II and III).